Anesthesia Tape, With Exp. 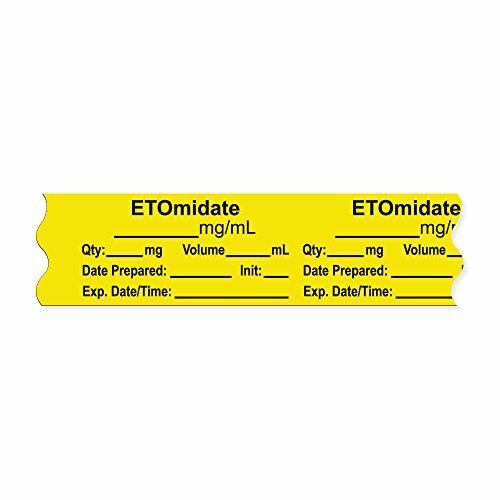 Date, Time, and Initial, Removable, "ETOmidate mg/mL", 1" Core, 3/4" x 500", Yellow, 333 Imprints, 500 Inches Per Roll. View More In Anesthesia Labels. If you have any questions about this product by PDC Healthcare, contact us by completing and submitting the form below. If you are looking for a specif part number, please include it with your message.